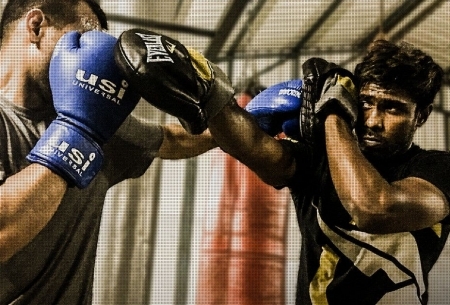 Focus: Boxing classes for competitive athletes, self defense and physical fitness. Components: The Guard, Punching & Combos, Evasion, Footwork, Blocking, Mental Conditioning, Physical Conditioning, Strategy. Systems: Olympic Boxing, Pro Boxing. Prices include Goods & Services Tax of 18%. ** New students are required to pay a one-time registration fee of Rs. 1000. This entitles you to lifetime membership with Combat Kinetics. Learn more about our Boxing Classes.